Preheat oven to 350. In a bowl, combined all ingredient (mix well, the ground turkey seems to be sticky), roll into 1″ balls and put onto a greased cooking sheet. Bake for 18 minutes. Serve with spaghetti sauce (I normally make my but, this time I didn’t). 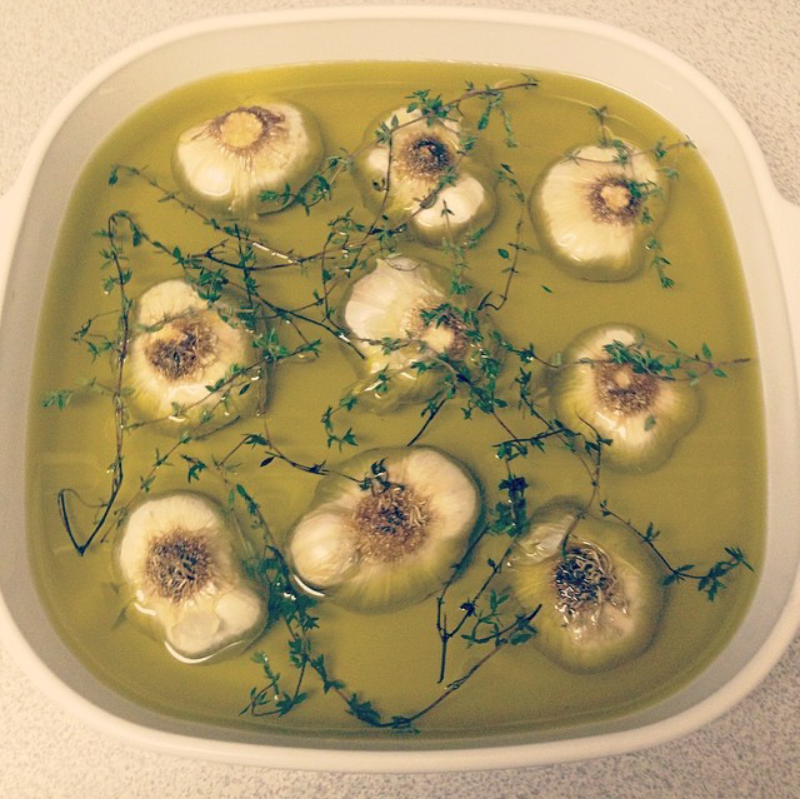 When I was heating up the sauce, I added a little garlic olive oil (recipe below). 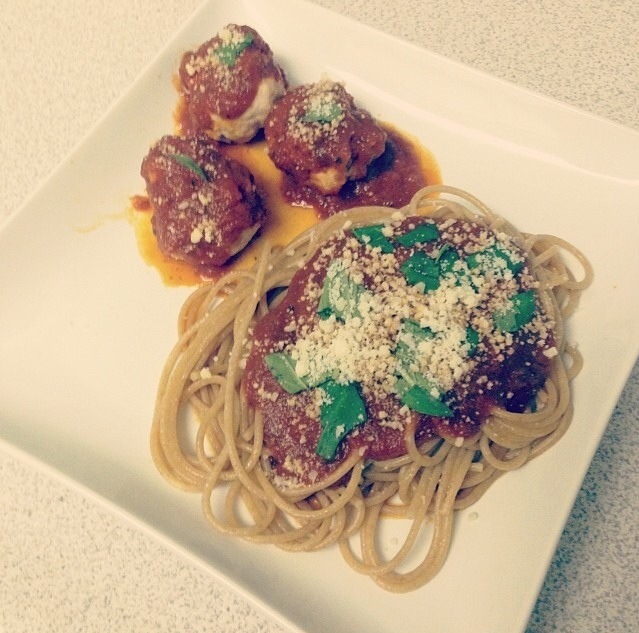 Top whole wheat noodles with sauce, meatballs (unless you’re like me and like to cut them on the side), fresh basil, and parmesan. Enjoy! For a garlic bread recipe see below! Absolutely loved it!! I’ve made them a few times!